A brain tumour is the growth of abnormal cells that are either within or around the brain’s structure. There are over 120 different types of brain tumours, and these vary from being cancerous (malignant) or benign. Benign means that it is the least aggressive type of brain tumour. It does not contain cancer cells, and typically does not spread into other tissue. Malignant brain tumours on the other hand contain cancer cells and they tend to grow at a rapid rate. This can be life threatening if not immediately treated, as it can rapidly invade the surrounding brain tissue. In addition, there are primary and metastatic tumours. Primary brain tumours start in the cells of the brain and may spread to other parts of the brain or to the spine. 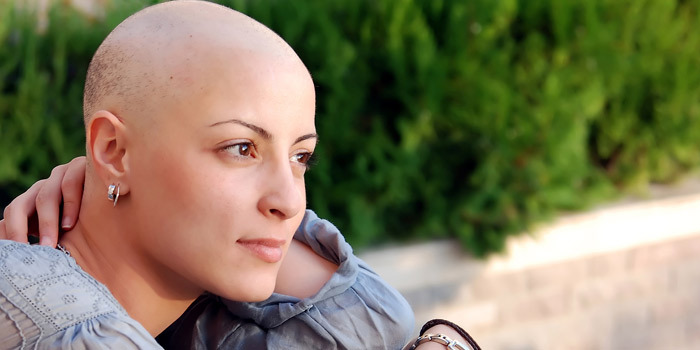 Metastatic tumours begin in other parts of the body and spread to the brain. These metastatic tumours are more common than primary brain tumours. It is important to be aware of the symptoms of brain tumours. However, these symptoms can vary depending on the tumour type and its location. General symptoms to be aware of for brain tumours are recurring headaches, issues with vision, seizures, personality changes, short-term memory loss, poor coordination, and difficulty speaking or comprehending information. It is important to consult your physician for more information if you are experiencing these symptoms. Men are more likely to develop a brain tumour in comparison to women. To treat this tumour, surgery is needed followed by radiation therapy or combined radiation therapy and chemotherapy. Radiation therapy is used to kill the leftover tumour cells in order to prevent recurrence. As brain tumours are located in the control centre of the brain, it affects one’s thoughts, emotions, and movement. This can hinder their quality of life, as an individual’s physical and cognitive abilities become more difficult. To enhance quality of life, treatment options are available such as special care, clinical trials, and follow-up care and rehabilitation services. To be eligible for this tax credit program one must have had their brain tumour for at least 12 months. In addition, it must be severely affected them the majority of the time. For example, if they have memory loss they may qualify under the category entitled mental functions. To apply, our experts will assist you in filling out form T2201 where you will need to get your medical practitioner to complete this form. This will ask your doctor to describe how you are impaired by your brain tumour. It is important to be descriptive in this section as a patient can be affected in a variety of ways by their brain tumour. Ranging from memory loss to difficulties speaking, symptoms vary greatly. Here at DCC, we can help strengthen your case by reviewing your doctor’s form to ensure that the level of detail is suitable to meet the government’s expectations.